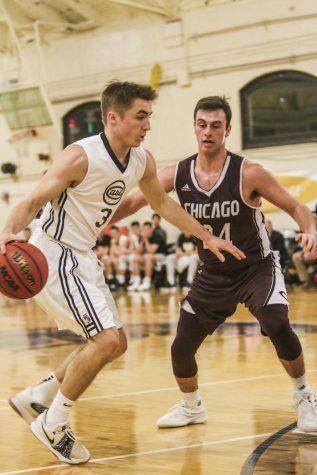 The Case Western Reserve University men’s basketball team played in the historic Adelbert Gymnasium this past weekend, facing two University Athletic Association (UAA) rivals that they had just competed against the previous week. 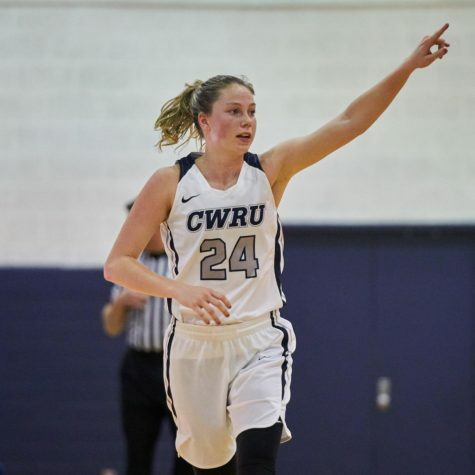 The results were different this time, with CWRU dropping both games. They lost to the University of Chicago (Chicago), 81-72, on Friday, Feb. 1 and then dropped a close game to Washington University in St. Louis (WashU), 66-63, on Sunday, Feb. 3. The team fought hard against Chicago. The Maroons came out at the start of the game hot, hitting six three pointers in the first six minutes to take a 20-9 lead. CWRU got back within five points, 22-17, with first-year forward Solomon Wells’ layup that capped off an 8-2 run. However, Chicago would increase the lead again, bringing it to 38-26 with under three minutes left in the half. The Spartans ended the half with a quick 6-0 run off of layups by Wells, second-year guard Ignas Masiulionis and first-year forward Brady Flynn, cutting the lead to 38-32. Second-year guard Michael Volkening scored five straight points in the start of the second half to cut Chicago’s lead to five points with around 17 minutes left. The Maroons kept up the heat bringing the score to 61-50, but first-year forward Ryan Newton made a three-point jump shot to keep the Spartans close. Chicago once again pushed back and built their lead to 14 points with under five minutes left in the game. 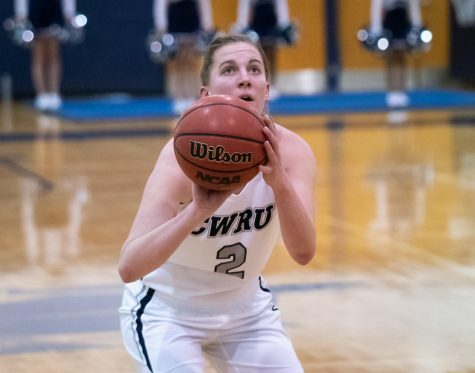 CWRU was unable to come back and ultimately ended the game with a loss. 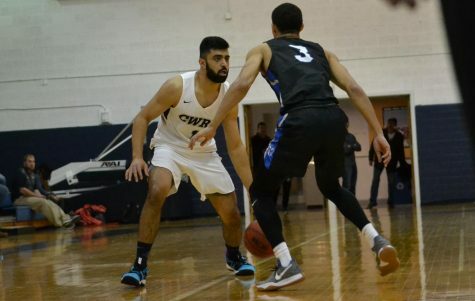 Against WashU, CWRU was able to pull a late comeback but unable to complete the upset. The Spartans took advantage of a shooting slump by the Bears to take an early 10-2 lead. The team continued maintaining the lead with Masiulionis hitting a three pointer during the middle of the first half, bringing the score to 20-8. With under eight minutes left in the half, the Spartans grew the lead to 15 points after third-year forward Connor Nally made his three free throw attempts. But the Bears rallied back and cut the lead to 32-25 at halftime. The Bears opened the second half on a 12-0 run, taking the lead just three minutes into the half. 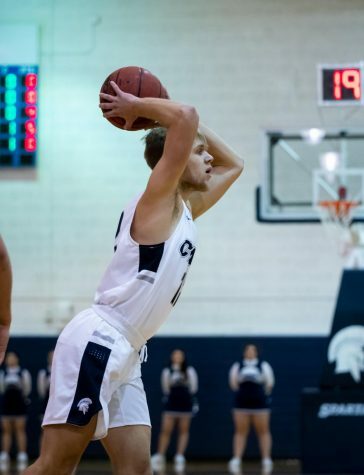 CWRU got close a few times with timely three pointers by Nally, which cut the Bears’ lead to 37-35, and third-year forward Michael Hollis, which cut the Spartan lead to 43-42. The teams kept battling back and forth, with WashU remaining in the lead the entire time, but the Spartans staying within striking distance. Flynn helped the Spartan hopes by scoring five points to trim WashU’s lead to two, 63-61. CWRU couldn’t make a game-tying bucket, but Masiulionis made a layup with 12 seconds left to keep the margin at just two points. WashU missed one of the two free throws at the line, giving the Spartans a chance for a game-tying three pointer. Second-year guard Antonio Ionadi missed the first attempt, but Hollis collected the offensive rebound. 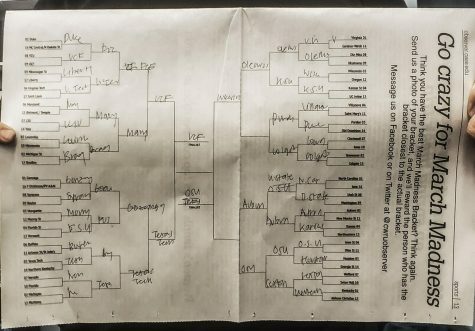 He ended up missing the buzzer-beating game-tying shot and the Spartans lost. The Spartans finished the week with two losses, bringing their overall season record to 9-11 and UAA record to 2-7. 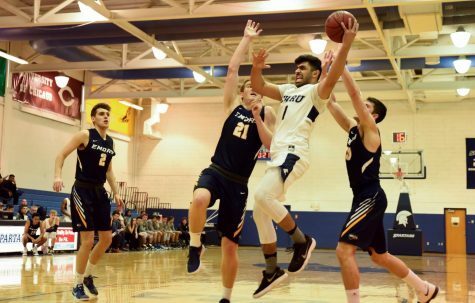 The team will continue facing a tough UAA schedule, traveling to New York University (NYU) on Friday, Feb. 8 and then onto Brandeis University on Sunday, Feb. 10.